I was just reading an article from Daily Mail that discusses why chemical-based skincare and makeup are not so great for our skin. The topic is not something new but what caught my eye was that the article quoted doctors as warning that make-up full of chemicals could leave women with unsightly skin conditions. I found that quite a surprise, that some medical experts are actually leveling accusations against chemically formulated products, quite unlike what I’ve often been reading. According to one of the doctors quoted, strong chemicals such as preservatives can strip away the natural defences and dry out the skin. 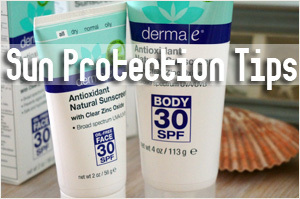 This can head to a series of skin issues such as inflammation or eczema in some cases. The article did not indicate specific ingredients except for fragrances and formaldehyde so it’s a bit hard to know what to avoid. Â But I think â€œthe dirty dozensâ€ are usually those that are considered toxic and generally avoided. 1. Butylated hydroxyanisole (BHA) & butylated hydroxytoluene (BHT): Used as a preservative in moisturizers and makeup. 2. Coal tar dyes: Used in hair dyes and other products containing artificial colorants. Look for â€œCIâ€, â€œFD&C Blue No. 1â€, or â€œBlue 1â€ on labels. 3. DEA: Used in creamy and foaming products (i.e. moisturizers, shampoos). Look for â€œDEAâ€, â€œMEAâ€, and â€œTEAâ€ on labels. 4. Dibutyl Phthalate (DBP): Used as a plasticizer in some nail products. 5. Formaldehyde-releasing preservatives: Look for DMDM hydantoin, diazolidinyl urea, imidazolidinyl urea, methenamine and quarternium-15 on labels. 6. Parfum/Perfume/Fragrance: Used in a wide variety of products. 7. PEGs: Used in many cream-based products. 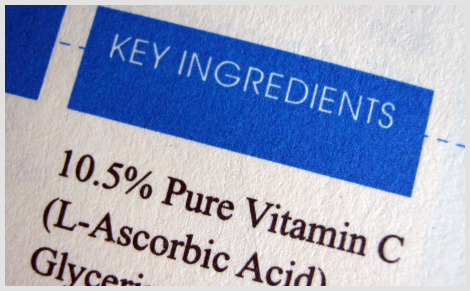 Look for â€œpropylene glycolâ€, and ingredients with â€œethâ€ (e.g., polyethylene glycol) on labels. 8. Petrolatum: Used as a moisturizing ingredient and moisture barrier. 9. Siloxanes: Used in a variety of cosmetics to soften, smooth and moisten. Look for ingredients ending in â€œ-siloxaneâ€ or â€œ-methiconeâ€ on labels. 10. Sodium laureth sulfate: Used in foaming cosmetics, such as shampoos, cleansers and bubble bath. 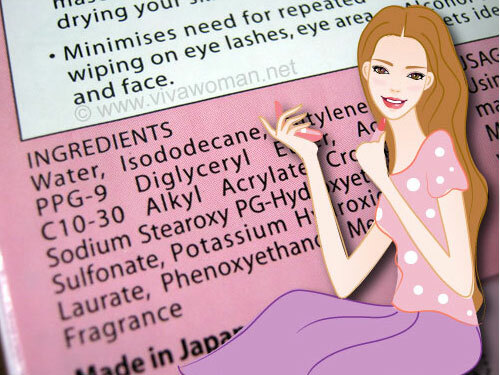 Look for sodium lauryl sulfate and other ingredients with the letters â€œethâ€ (e.g., sodium laureth sulfate) on labels. 11. Triclosan: Used in antibacterial cosmetics, such as toothpastes, cleansers and deodorants. 12. 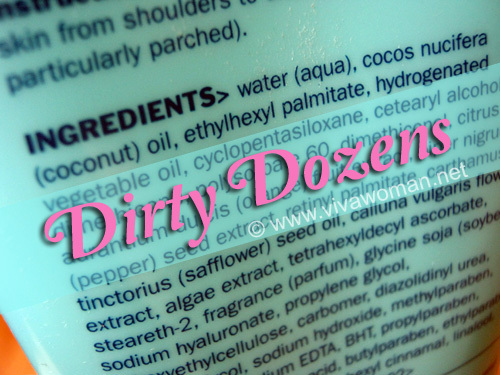 Paraben, Methylparaben and propylparaben: Used in a variety of cosmetics as preservatives. Before you think this is a crusade against chemical-based cosmetics, the article is also balanced with pointers that natural and organic products are not always more superior as some of them do contain irritants that cause skin issues as well – something I’ve mentioned before. So the key is to discern what you put on. As a guide, the fewer the ingredients, the safer your options. I hope those so-called learned scientists are not going to hit back by suggesting that doctors are also full of misinformation, pseudo-scientific nonsense and pure garbage. Surely the words of these medical experts do count for something as compared to many of us who are not “scientifically” trained? Are ceramides in skin care considered a chemical ingredient? Yes it is, but it isn’t toxic as far as I know. I think it makes sense, if you wear heavy eye makeup you put yourself at risk for allergic reactions. That passes the common sense test because the eye area is very delicate and sensitive. 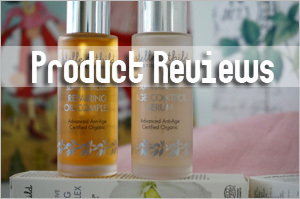 I’ve also heard about people reacting to harsh chemicals in anti-aging skincare. Natural isn’t always better, but natural skincare has options like washing your face with honey, moisturizing with pure oils, and toning with gentle ingredients like witch hazel or diluted ACV. Unless you are allergic to any of these things, I would imagine people are much less likely to react to pure ingredients! 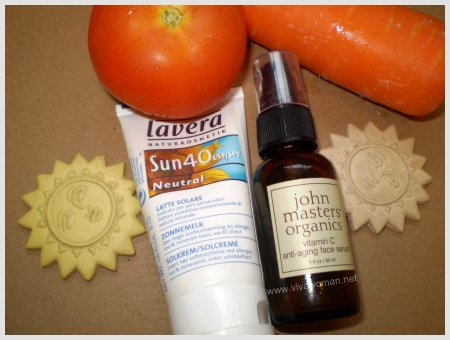 Mary last post is: Real Purity Health Glow Foundation Review + Natural Joy Beauty DISCOUNT CODE! I think it’s depends on the type of ingredients. If one uses lemon for example, it is natural but it isn’t great for the skin. 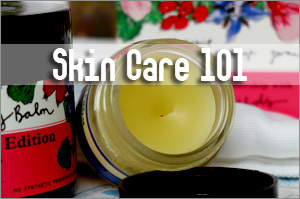 Even witch hazel is controversial…some say it’s good but others say it’s harmful for the skin. Same for ingredients like lavender oil. this whole thing about chemicals is actually getting irritating honestly!!! because, they lack proper scientific proofs….didn’t go through the article yu mentioned but talking from the basis of all I have read and anyway, everything in nature is actually chemical so do they differentiate between good and bad chemicals..that would probably be more helpful!!! yup SLS is something I am avoiding though can’t say same about parabens but then i have noticed that the natural things i’m using don’t really have parabens..most of them started using sodium benzoate. but, i remember asking one of the people on personal care and truth about parabens and the guy said that even if parabens are absorbed, they get metabolised by the body so its not exactly that harmful!!! 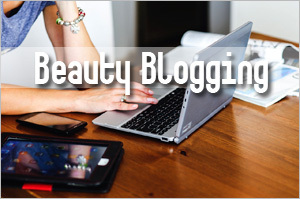 Swati last post is: Happy Bloggers Meet!! Yeah, the article specifically talks about strong chemical so it’s not all chemicals the doctors are against. Chemical free is a term that is abused. Most natural/organic range are formulated with botanical-based chemicals or phytochemicals anyway but they mostly avoid petrochemicals. Anyway, the article here isn’t about chemical free but rather, the doctors quoted are against using strong chemicals, which I take to also mean toxic chemicals. Your post really comes in timely with Paris B’s. It’s women’s own beliefs against doctors’. Whatever is being said, women will still use what they want to use based on feelings of how good the products make their skin feel and look. Yes, I think end result tells it all. There are scientists who will argue based on facts but facts and truth aren’t always the same. Sometimes the truth is, we don’t benefit from some ingredients which they claim are great. I never use to check ingredients of makeup but now I do it all the time. Makeup tends to be hardest to be picky cos most of them are made with a ton of undesirable ingredients. Then the more naturally formulated ones don’t perform. Eh, DM is a tabloid and most of its’ reports are not trustworthy. They are almost as bad as The Sun when they misreport, make up facts or misquote people. Tabloid and hype and stirring up the people. Of those who used Sukin Sensitive cleansing gel: any of you who had super sensitive skin using this? I wonder how the others find it too ‘cos one of my Aussie friends recommended this. I’m switching from Sebamed which is too harsh for my face. I see…thanks for highlighting that. But this article did quote doctors and their names so it doesn’t come across as sensationalism or something that can sell more copies of the tabloid. But granted, some of them do have an agenda to feed. I brought this up only because this article is so unlike most of the reports I’ve come across where doctors/medical experts tend to bash natural/organic instead. 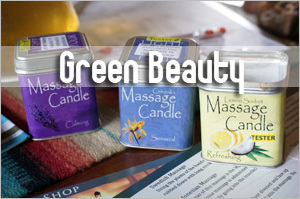 Eco Beauty last post is: Step out of Zombie Land. Here are some tips to recover from heavy Halloween makeup! Funny I had an issue with mineral makeup before…my forehead tends to get sensitive and I had a bad breakout on that area once using mineral makeup. Or maybe it was that makeup causing my forehead to be sensitive. I had problems with mineral makeup until I realized that most commercial mineral makeup isn’t just ‘minerals’. Some brands use a small amount of pigmented minerals, and the rest is talc, cornstarch, and bismuth oxychloride, an ingredient known for causing acne and allergic reactions in people. I’ve noticed that mineral makeup without bismuth doesn’t make my eyes itch like other makeup does- and most makeup brands use it. So check your ingredients! If you have allergies, that makeup is not all mineral. Carnauba wax should be there to help the makeup stay on. Some companies add other stuff that breaks down or is more bacteria-friendly, like certain extracts or plants (a great reason to clean your brushes all the time). Eco, you likely do have eczema which is triggered by something in the makeup you’re using. Although eczema can be triggered by a LOT of stuff, makeup definitely doesn’t help. I hope you find something gentle that you can still wear! BebeTaian last post is: Bunka no Hi or Meiji-setsu? @BebeTaian: Yeah, mineral makeup with too many ingredients can be a big problem. I would only try those with a simple list. Surprisingly, bismuth oxychloride which has a bad rep works okay for me. I agree with Seasme that the fewer the chemicals. Its something that makes sense too since the less the chemicals the less those nasty ingredients on our skins… By the way Seaseme what is ur opinion on ‘paraben’ since there are those who call it totaly toxic and then there are claims that they are harmless.. Are parabens something to fuss about? Studies on parabens show that they are fairly safe, but even so, many people avoid them, “just in case”. Meanwhile, that means that companies now have to find another preservative to use… and fast. 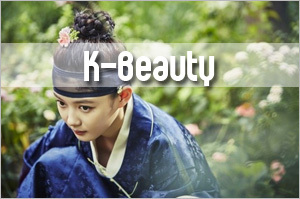 Which means using preservatives with far less testing, and less history of use in cosmetics. Long-term human trials of any chemical take a minimum of about 10 years. I’m one of those on the fence about paraben as well. Funny u mentioned that because for years now the green skin care companies uses a preservative system consist of phenoxythenol because its supposedly safer but study are coming out nkw saying that it could be even worse than paraben. @Annie: agree about taking things in moderation. We can’t be certain cos the researches are never really conclusive. I’m okay with parabens if they’re listed way down. I don’t really avoid ingredients for health issues but more on the basis of what damage they might cause for the skin. Truly I think it’s not as bad but just developed a bad reputation cos there are too much bad press on parabens. Not surprising, chemicals = bad for everything and everyone! Hmm…well, I don’t think that’s the case really. Only the toxic ones are damaging. So, no chemicals and no organics. All bad. Hmmm. Back to the cavewoman I really am. Seriously. I have to put something in my hair and on my skin, nails and other body parts. DoTerra Essential Oils are the only oils that are Certified Pure Theraputic Grade Essential oils 100% Pure,natural aromtic compounds carefeully extracted from plants. They do not contain fiullers or artificiasl ingrfedients that wouled dilute their active qualities and are free of contaminants such as pesticides or other chemical residues. These oils can be added to face creams etc. You name it…you can eat them and they complete many recipes. 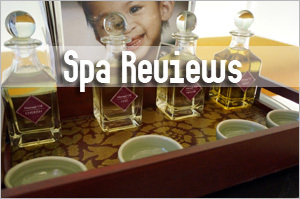 These oils would compliment your site and benefit your readers. Check out my site…call me and I will be happy to provide information. I like your site putting out information to be for their insides as well as the outside. I have tried DoTerra’s. They’re good but rather expensive though. I just wanted to say how fantastic I think your blog is. Your writing is really engaging and interesting. It is wonderful to see so many women who are interested in using natural products rather than covering their face with things made using a chemistry set. Also to see so many natural beauty blogs â€“ though slightly scary as I can’t think how my little voice will ever be heard by more than a few readers. I wanted to ask you advice on an ingredient I am torn both ways about. Lanolin? Good or Bad do you think? The thought of where it comes from grosses me out rather especially for use on my face. 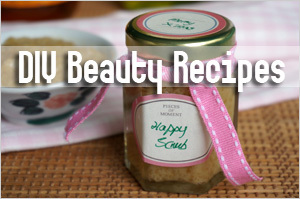 It does though work beautifully as a deep moisturizer after a face scrub. Any thought you could give me would be greatly appreciate. Interesting you asked it because I was reading up on it recently. I think it’s not so great if it’s high up on the ingredient list cos it might cause allergy for some but I don’t mind it lower down. I believe in green tea for healthy body. 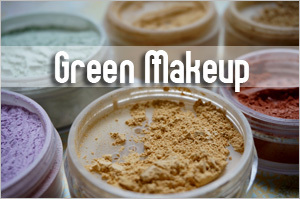 Now Matcha powder is talked about for the skin. Is this something that can prevent wrinkles or reduce lines. Does bio identical hormones help aging? I would like to win the package you have up for grabs.. Im looking foward to reading more on this sight. I liked on facebook and enjoy sharing thoughts and learning how to keep from aging fast. was doing some research myself on ingredients and thought i would share this link, which as has a pretty good list of what ingredients to avoid and why….also links to some good related research, though i haven’t read all of it myself haha! Awesome review on the chemicals in makeup. 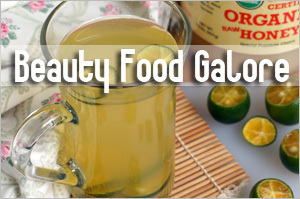 A great mineral (truly mineral, plant based in its ingredients and natural), is Glam Girl Naturals Cosmetics. This makeup line is amazing, and has diffrent face, eye, lip, and other makeup products, all of which are gluten-free, vegan, cruelty-free, and all natural, and won’t clog your pores, won’t cause acne, and have natural ingredients that help to heal skin over time. This is great for everyone, but especially if you break out a lot, have sensitive skin, are gluten-free, and are cruelty-free conscious, natural ingredients conscious, and you want to get a better quality makeup that is natural.